Why do some people pay $120 and others pay $650 for a seat on the same airplane? Or the same car insurance policy? Differential pricing is everywhere but it is especially prevalent in opaque, algorithm-driven markets. Is it fair to charge differently for different people? In our first episode on price discrimination, we explored instances where retailers charged different prices for the same item based on whom they were selling to. Why do we, as consumers, accept these differences where there is little market transparency? Marie: and today we’re going to continue our discussion on differential pricing and we’re going to focus a little bit more on some industries other than retail today, like travel, including airlines and hotels and maybe even a little bit of insurance. Marie: Last episode we mentioned an article from Forbes that was talking about differential pricing and one of the quotes in that article was differential pricing does take place in markets where prices vary a lot, such as airlines and hotels and in somewhat opaque market such as insurance prices that fluctuate sharply can anger people. So Lexy, why do you think opaque markets make consumers more comfortable with differential pricing? Lexy: I’m not sure that it’s a level of comfort. I think it’s more the perception of it being fair based on either risk or some sort of thought that it’s a supply and demand type of issue so that there’s some other factor at play. For example, with insurance, let’s say it’s car insurance, we tend to assume that prices will be higher for younger drivers or for drivers who’ve been in accidents, things like that that raise the risk of a potential problem, potential accident, something that the insurance company would need to pay for. We’re sort of okay with the idea that risk equals reward. We do it in investing, we do it in insurance. The greater the risk the insurance company is taking, the more reward, the more money they’re able to get by taking on that risk, those types of risk to reward considerations are sort of accepted as fair, meaning it’s okay that the company gets more for taking on that risk because the chances are they’re going to have to pay out more in other markets like travel. Lexy: It’s a perceived supply and demand even though the fluctuations are not really based fully on supply or demand. So for example, there are millions of websites out there. Sure. Talking about what is the optimal time to purchase a flight? Yep. It used to be, I think it was Tuesdays in the morning or something like that. I recently read one that said Sunday at 5:00 AM. Oh, you love being up at that time. Oh yeah. That’s my favorite. See, back to episode on food, daylight savings time, and my problem adjusting. However it was talking about the fact that there are fewer people searching. There’s still the supply, the supply of seats doesn’t change. They can’t produce more seats overnight on a plane, so the supply doesn’t change, the demand goes up and down and they kind of try to time how far out in advance people are booking travel and for what purposes because they know that they can charge different amounts for people based on different types of trips, how much they’re willing to pay, all these different things. That’s fine. Marie: Why you could be sitting in a plane, and this is actually something that I’ve looked at because I’ll use flightaware to track the flights that I’m on and it’ll tell you the range of prices that people have paid for that flight and you’re like, all right, so where do I fall in this continuum? I’m usually not the bottom and I’m usually not the top, but there’s definitely a range of different prices that people are paying to get on that flight. Absolutely, yeah. Marie: Tuesday to Thursday, the exact same week of every year and do it. Lexy: I done this, I’ve done this. I can tell you right now, I don’t remember, but again, in retail you have comparable items. You have a price that’s shown as your anchor. We’ve talked about anchoring bias, so your anchor prices $100 for an item and you know, based on that anchor, if there’s a line through it and now so $75 you’re getting a deal, so you’re at 25 percent off. Marie: But that also is an anchoring bias that can be manipulated. Absolutely. Lexy: But at least there’s something in your head that says, okay, I should be expecting roughly this and if I go on another retail website, I can compare their price and if I see that this one says that the retail price is 120 and this one says it’s 100, which one’s lying. There’s no similar comparison to be made. If you don’t have that same anchor saying, well if you book now you get 20 percent off because it’s Sunday morning at 5:00 AM and doesn’t tell you that this will ever be some other price. Lexy: but you’re still travel. Looking at it right now. True. You would have to be able to simulate what it will look like tomorrow and the next day at all different times of day and the next day and the next day and so forth. There are sites that now do this and they’re absent now do this as well. There’s one called hopper that I’ve been on for awhile. That’s very interesting in that it looks at how far in advance to book something and whether that price is likely to go up or down in the next few weeks or months or what have you, and it tells you kind of the optimal time it thinks you should buy and on which airline and all kinds of things you have to be able to simulate like that does to say, all right, what are all the algorithmic inputs that would potentially contribute to a different flight price and even then there’s no baseline. There’s nothing that says full price Houston to Chicago from Tuesday to Thursday of next week is $1,000 round trip. There’s nothing that gives you that price point and says this is the most that you would have to pay. There’s absolutely the expectation that if you try to do it day of there’ll be more than that. There’s an expectation that if you do that in advance it will be much less, but there’s nothing that gives you a baseline like you have in retail. Marie: Correct, and I would say that insurance, it’s even more so that way. I do feel like at least with I plane ticket, when you search from one destination to another for a specific date range and you get all those different comparisons, that helps provide you with an idea of what the market is. Maybe it doesn’t tell you what the anchor should be, but at least you get a sense of what the range is and where you’re comfortable pain based off of the time that the flight we’ll take the number of stops, etc. There is some opaqueness to it, but not as much as like insurance. Like an insurance. I have no idea whaT my price will be until I get a quote. Lexy: Sure, but that quote is based on inputs. Just like you were talking about, what time is that flight, how many stops and so forth. You could look at it the same way and say, what’s the total coverage? What’s the per incident coverage? What’s the amount of deductible that I have on that policy? And you can play with those inputs to try and see what your quote would be, and there are comparisons sites, many, many, many comparison sites for insurance quotes for that reason, because each company will price differently, even given the same set of inputs and that gives you the ability to see which of these is likely to be the best value. On the flip side of that, you can think about it as which of these companies do I trust to actually pay out? So it’s a matter of your risk, right? So if you want lower risk, you want a company that’s more stable, you don’t want some fly by night company that says, oh, I’ll give you a great deal on that insurance, it’ll be $20 a month. And then the moment you have a problem, they disappear. Again. Risk versus reward. Marie: Are you suggesting that there should be baseline? Lexy: That’d be nice, but I’m not going to say that I don’t think it’s realistic and insurance because there are so many inputs. Companies have different aLgorithms for the risk that they’re taking on. They have different actuaries working on the problem to say, what is the risk based on all of these factors? If we look at this person’s driving record, their age, the type of vehicle and so forth, the area that they’re in, we have a different set of weightings essentially for the algorithm that we use versus the next company uses. Based on how we’ve evaluated that data. I don’t think that it’s likely we would see a baseline for all of that. I think it could somewhat more likely in an airline situation, just like we have for hotel rooms, there’s are kind of rack rate that nobody pays for what it’s worth, nobody pays the rack rated hotel. Lexy: If you ever look on the back of the door in a hotel room, there’s usually an info sheet about the room. It tells you the escape routes and all that good stuff. There’s fire. It’ll sometimes lift the rack rate and it’ll say something like $350 and you know that you just spent $160 a night for that room, but there’s your baseline. It’s present. I think that something like that could be possible for airlines even given all of the seasonal factors, even given a number of other things, they could say, well, right now we’re running a special and this happens a ton. when you think about the sales that get promoted all the time for southwest, for instance, of $99 fares and all this stuff, you presumed that the rate normally is higher. It’s more than $99 per leg of your journey, but they can promote it because now they’ve given you a price to compare to. You know, maybe it’s worth something for people to know that they’re getting a deal and they should book. Marie: The other piece of it is you do want to feel like, especially If you’re going to a site that’s telling you I can help you get the best price that you are getting the best price possible and some of the things that we found researching this episode is that those sites don’t always show the best price possible. Sometimes they are doing differential pricing, which is different than showing you the best price possible. Absolutely. Lexy: So there were a couple of examples that we came upon. One was from 2012 and it was orbits that had been showing more expensive hotel options to people who browse their site from an apple computer, a mac, ios versus those who came in from a windows computer. Let’s say there were 10 hotels. They ranged in price from $150 a night to $400 a night. They might rearrange them so that they showed the ones that were more expensive, maybe $300 a night instead of the ones that were maybe 2:50 a night or something like that. So that it would show them as though they. Those were the best options available to a mac user. Theoretically because since they purchased a mac, they were willing to pay more for a computer. So why not for a hotel? And they had done this based on data they collected. They looked at what types of computer somebody had come in on, what they ended up booking, and then used it to set the experience going forward for other people who would come in on the same type of computer. Now there are legitimate reasons to know what kind of computer someone has. So marie, give us some examples. Why do we need to know what kind of computer or somebody is on? We go to a website. Marie: I’m a user experience standpoint. We you are managing a website. You want to know are people using a mobile device, are they using a computer? What type of browser they’re using, what type of computer they’re using, the operating system, and that helps you make sure that your site runs properly in all those different environments. So you definitely as a company that’s writing a website as somebody in the marketing department that wants to make sure that you’re providing a good user experience for your customers, you want to have access to that data. So the question becomes should that data then be used to make decisions on what type of pricing does show? Marie: to link to this in the show notes. It’s actually a video that we saw from the canadian broadcasting corporation. Cvc, and they did it. They did a test where they brought three different consumers into their offices and they had them browse basically using the regular browser setting, using an incognito browser setting, and then based on what they typed in, what results came up. The idea was user experience, user behavior could potentially influence what offers they were being shown. What was interesting is as they were going through the test, they noticed that one person, instead of going to expedia.com went to expedia dots, see a, the canadian version of the website and that actually produced different results, so even the geography could change the results and that was one of the things that they followed up in terms of the reporting and the interviewing. They went back and they did a question where they said to basically expedient why would the country of origin for the website make a difference in the pricing, and so it was the fact that you could have control over these different components as a consumer searching out the best price to do it in incognito mode, do it in your regular mode, see where you get the best offer, and then use that to move forward with your purchase. 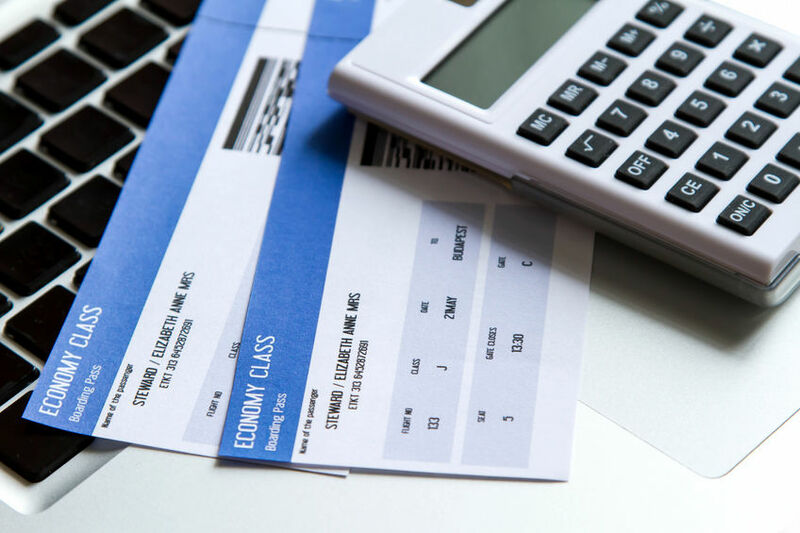 Marie: What I found interesting in the interview is the fact that expedia couldn’t really defend it and it kind of goes back to what we were talking about in the forbes article from our previous episode where when people find out about price discrimination, that usually not very happy. Lexy: Yeah. And it still. It also goes back to training transparently. Have to be able to explain what’s going on and be transparent about what’s happening. So if they had come up with an answer that said, well, the canadian government has different rules about taxation of flights or something like that. And we showed the and all inclusive fair like we’re supposed to and it showed a lower fare. It’s because we assumed this was a canadian resident. Therefore they would have gotten a lower price. Seems reasonable, could have been an explanation, obviously wasn’t, but could’ve been. Again, be transparent, Just tell it like it is. The problem becomes when you create an algorithm you can’t explain for sure. what we’ve seen is that when you have a black box algorithm, those who have to be in front of a broadcasting corporation or a pr release or something like that, investigative, investigative reporters, whomever can’t explain it, they are not prepared to defend the algorithms that are being used and that becomes a problem for publicity for the company at some point down the road for the data scientists to try and figure out and then provide them with a reasonable explanation. Marie: Thanks for much for joining us. Lexy: See You next time.